I don't photograph many family sessions anymore, but when I do it is for amazing families like this one you see here! 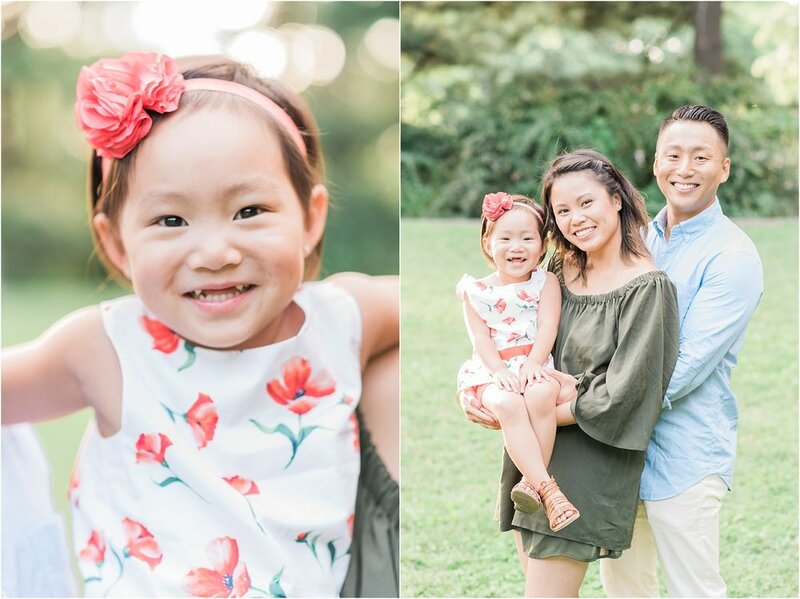 After weeks of emailing back and forth, I was SO excited to meet and photograph this beautiful family session. Wendy & her family were so sweet online and they were even more fun in person! Although we had never met, we both used to live in the same neighborhood of Bay Ridge, Brooklyn. So we had fun chatting about our local Facebook groups and our favorite spots. We met up by the Loeb Boathouse in Central Park and spent our time exploring the park and getting to know each other. It took little Sophie all of two minutes to warm up to me. She taught me how to pose, how to ride a scooter, and when she smiled, her tiny teeth were the cutest! 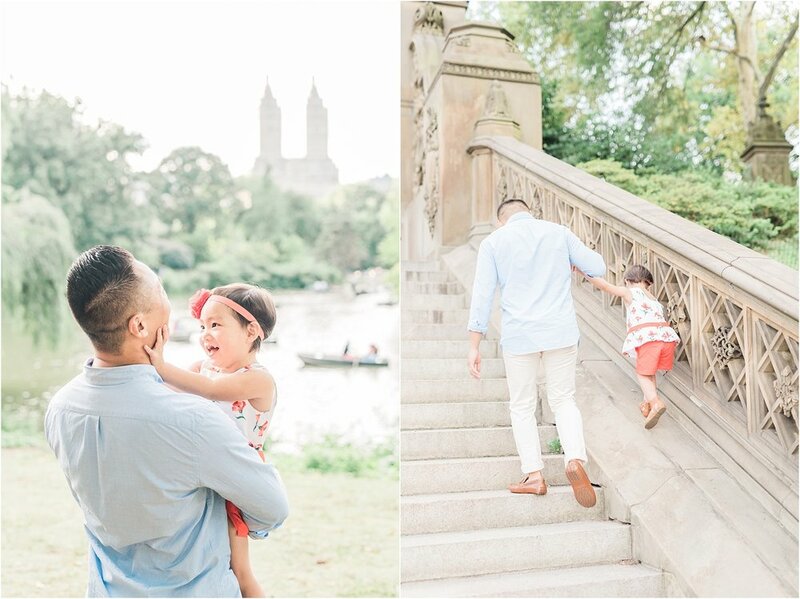 One of the best parts about being a New York City family photographer is getting to explore Central Park's most iconic spots including the Bethesda Terrace.